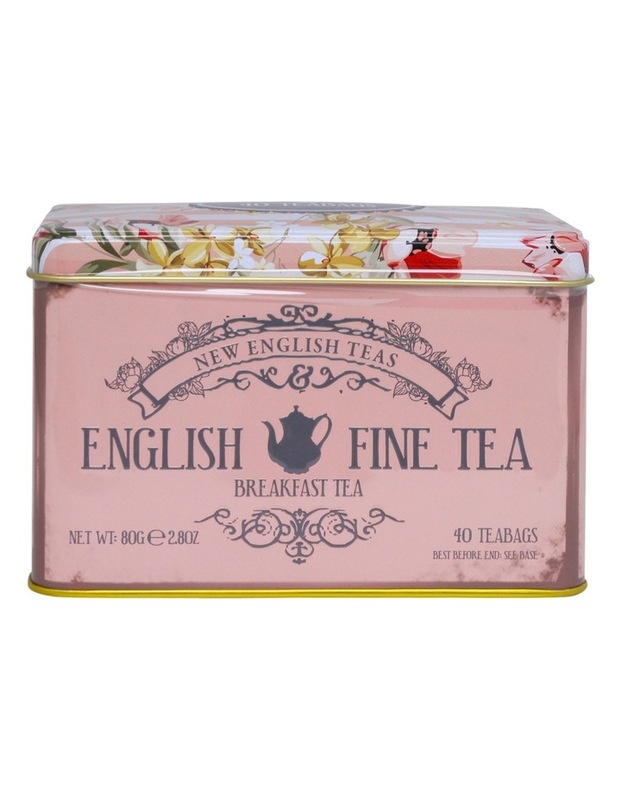 The Floral Pink Tin from New English Teas is an elegant tin featuring an attractive floral design contains 40 teabags of classic English Breakfast Tea. The tin has a hinged lid making it very easy to use and the teabags are in a foil pouch for extra freshness. The tea is carefully selected in Sri Lanka, the home to some of the finest tea growing areas in the world. The finest young tea leaves are picked and then go through a four-stage process to create tea leaves full of flavour. New English Teas was started in 1985 by the great grandson of Arthur Brooke the founder of Brooke Bond in 1869. 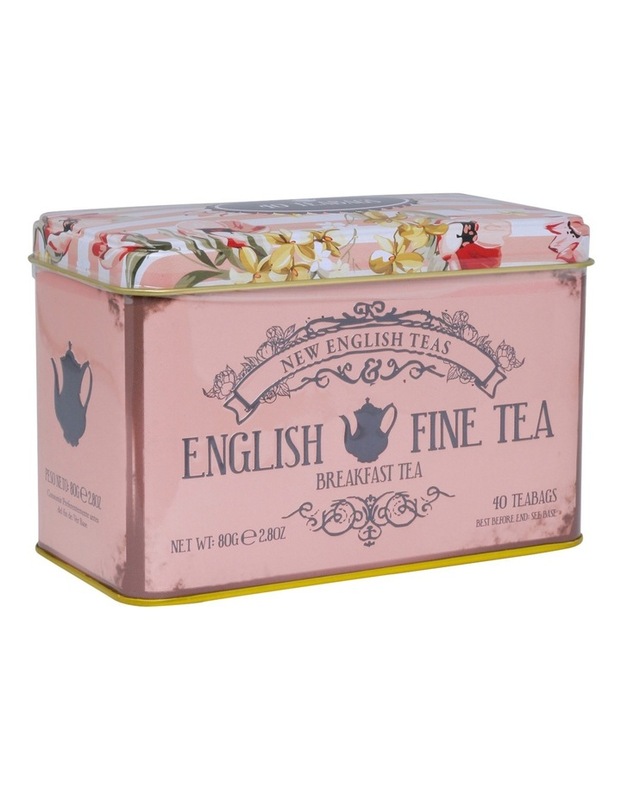 The company specialises in creating fine teas from India and Sri Lanka in distinctive tins, which reflects English Tea Heritage. Product weight: 80g net, 40 teabags.